SpaceX said on its website that the fairing, which was shielding the payload, will be recovered and will be caught by a high-speed boat called Mr Steven. The launch was originally scheduled for 21 February, but high upper-level winds made it impossible to take off that day and hence the mission was pushed to 22 February. SpaceX said on its website that the fairing, which was shielding the payload, will be recovered. The fairing cone, as per a tweet by Elon Musk, will be caught by a high-speed boat called 'Mr Steven', which has a net attached behind to catch the falling piece of metal. Apart from this, one unusual thing about the launch was that SpaceX did not try and land its booster rocket, which has been kind of SpaceX's mantra for reusability and an important factor in reducing costs. A good reason for doing so would be the fact that SpaceX is planning to redesign the Falcon 9's internal parts and thus they are disposing off earlier models. The two SpaceX satellites deployed are going to be part of the largest satellite network in history whose purpose would be to provide the next generation of internet connectivity. Iridium currently operates the world's largest satellite constellation and is halfway towards its goal of having 75 satellites in orbit. SpaceX has been launching Iridium's satellites. 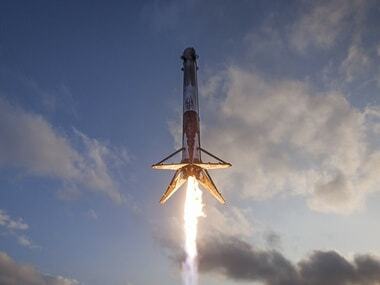 As per a CNBC report, SpaceX will be launching at least 800 satellites into the Earth's orbit in the coming years. Check the video attached below to relive the launch experience.